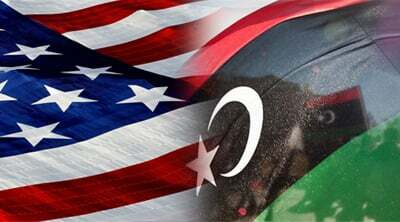 Gen. Joseph F. Dunford, Jr., the Chairman of the Joint Chiefs of Staff, was quoted recently as saying that the United States is preparing in conjunction with its imperialist allies a renewed military campaign in Libya. Gen. Dunford said with reference to a deepening interventionist policy toward Libya, “You want to take decisive military action to check ISIL’s expansion and at the same time you want to do it in such a way that’s supportive of a long-term political process…. I think it’s pretty clear to all of us — French, U.S. alike — that whatever we do is going to be in conjunction with the new government,” referring to the neo-colonial dominated regime that United Nations Libyan envoy Martin Kobler has been attempting to mold together. There are two rival regimes stemming from a split within the political forces which were installed in the aftermath of the war of regime change carried out in 2011. Rebel organizations, including many who had been labelled as “terrorists”, were funded, armed, given diplomatic support and media acceptance by the U.S. State Department, the British Foreign Office and others in an effort to impose them as “legitimate’ leaders of the oil-rich country. At present the Pentagon and State Department efforts are ostensibly being carried out against the growing influence of the so-called Islamic State which has taken control of several cities and towns on the Mediterranean coast. Washington has been fighting a low-level war against IS in Iraq, Syria and now Libya. Nonetheless, the intervention of the Russian Federation during concluding months of 2015 has been rejected by the administration of President Barack Obama as unwarranted interference designed to bolster the internationally-recognized government of President Bahsar al-Assad in Damascus. However, with specific reference to Libya, Gen. Dunford stresses that action needs to be taken soon, perhaps not days but weeks, he has emphasized in statement to the press. “My perspective is we need to do more. Quickly is weeks not hours” the Chairman of the Joint Chiefs of Staff noted. Setting the stage for such an intervention has been politically dependent upon the securing of a purported unity accord between the two rival factions claiming “legitimacy” in the North African state. Although there have been numerous announcements of an agreement, most ranking elements within the General National Congress in Tripoli and the House of Representatives in Tobruk have rejected the terms of the peace treaty. In addition to problems between both Libyan camps, some have rejected the notion of a foreign military occupation. If the elements opposed to imperialist intervention maintain their position, it could easily signal a much more complicated and contentious tenure for the proposed force of 6,000 troops which will ostensibly be led by Italy, the former colonial power in Libya prior to independence in 1951. Such a statement delivered only a few days after the announcement of a unity accord aimed at ending a year-and-a-half of civil war between the U.S.-backed forces installed by Washington and Brussels, could signal the unravelling of the entire scheme. If imperialist forces are fired on by Libyan political groups who are supposedly party to the UN-brokered agreement, this could bring an even higher degree of instability to the country and the region. Mateeq is a member of the 32-member ministerial regime established in late January capping off more than 18 months of heated talks mediated by Kobler, a career German diplomat who has been involved in other imperialist war scenarios including Iraq and the Democratic Republic of Congo. Even if Kobler and his western backers can strong arm the divided rival regimes into accepting the unity accord this does not take into consideration the hundreds of other armed militias which are roaming the country acting in many cases as the law unto themselves. The claims of Russian involvement remain to be verified. Russia has played a critical role in defending the Syria government by assisting the national military in retaking large swaths of territory inside the embattled state. These discussions are taking place amid the presidential primary campaigns where one leading Democratic candidate, Hillary Clinton, played a key role in the blockades, massive bombing and rebel ground war against the Jamahiriya government led by Col. Muammar Gaddafi five years ago. Apart from the Congressional hearings held last year over the attacks on the Benghazi compound occupied by Ambassador Christopher Stevens along with diplomatic personnel and Central Intelligence Agency (CIA) personnel in September 2012, the question of the role of Clinton in the Libyan destabilization, bombing and subsequent chaotic security situation which has fostered instability across North and West Africa has not been brought to the debates or evoked by the corporate media. The region is far more unstable than at any time in over four decades when a war was fought between Egypt and Israel in 1973, prompting an oil embargo and the consequent economic crisis inside the U.S. during this period. Later on in 1978-79, the Egyptian government of the-then President Anwar Sadat, under tremendous pressure from Washington, signed a separate peace agreement with Tel Aviv. This narrative provides a rationale and political justification for a permanent imperialist occupation of the regions negating the right to self-determination for the states involved.